Ikan Gurame ( Gourami Fish ) is a type of fish that really popular amongst Indonesian. To be honest, I'm not that type of person that really like this freshwater kind of fish. Because sometimes when it's not properly done or it's not fresh enough, you really can taste the muddy flavor. But, when it's deep fried, oh my.... it's a crunchy-heaven! That sunday we're invited for lunch at the newly open branch of Radja Gurame at Pesanggrahan. Just like it's name, you can tell that this restaurant specializes in Gourami Fish. 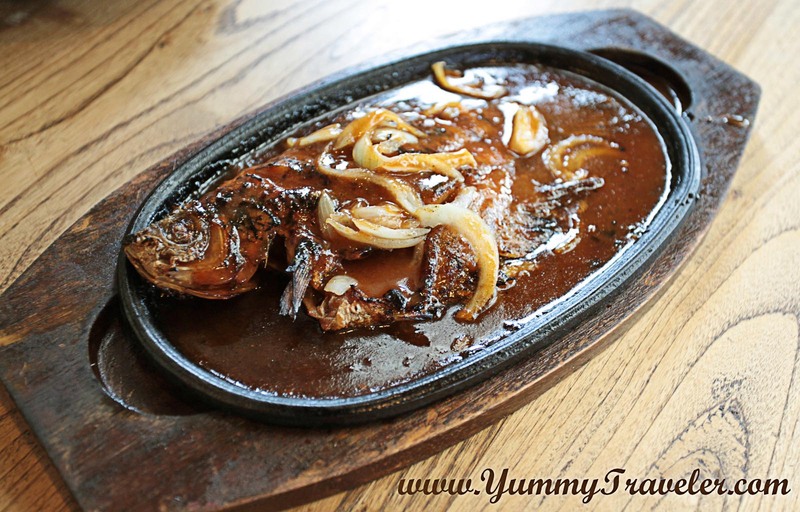 They serve the fish in personal portion, so yes... you can have one fish on your own! ;D Other than that the interior was also nicely done. Quite spacious, and gives a warm and pleasant Indonesian theme. Perfect for family or maybe some small event. Now let's start with my most favorite menu on Radja Gurame shall we ? 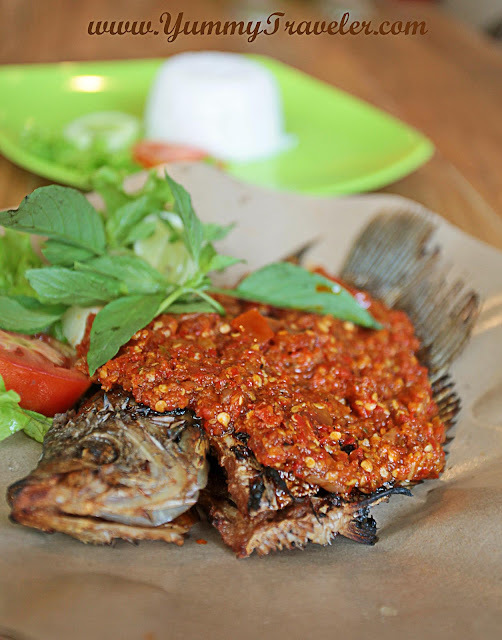 Gurame Kuah Thailand ( Gourami in Thai Soup ) - IDR 35.000 ( include rice ). 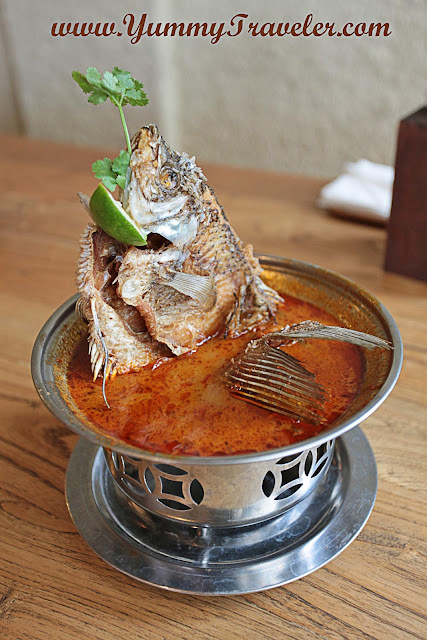 This one is a fried gourami served with Tom Yum- like soup. The presentation was nice, the fish tasted fresh and the soup, oh my..... savory and has a right amount of sourness. Even my dad loves it too. Yum! 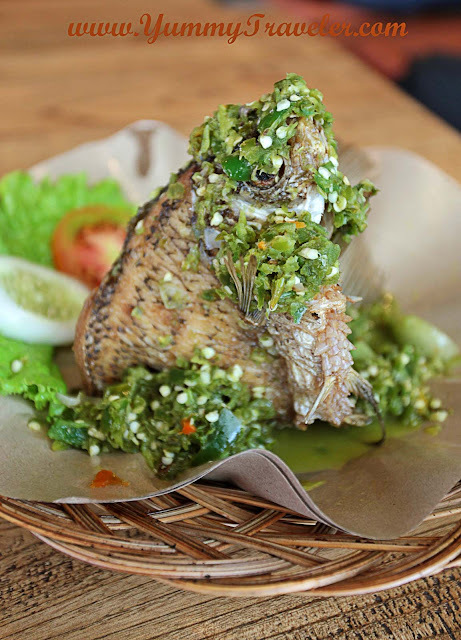 Gurame Goreng Cabe Ijo ( Fried Gourami in Indonesian Green Chillies ) - IDR 37.000 ( include rice ). Not like the usual cabe ijo that you found in Padang restaurant, this one is actually not that spicy. With some green tomatoes on it, the taste was more like spicy and a bit sour. Fresh ! Gurame Hotplate BBQ ( Gourami in BBQ sauce ) - IDR 39.000 ( include rice ). The sauce was quite tasty with sweet and sour BBQ taste. 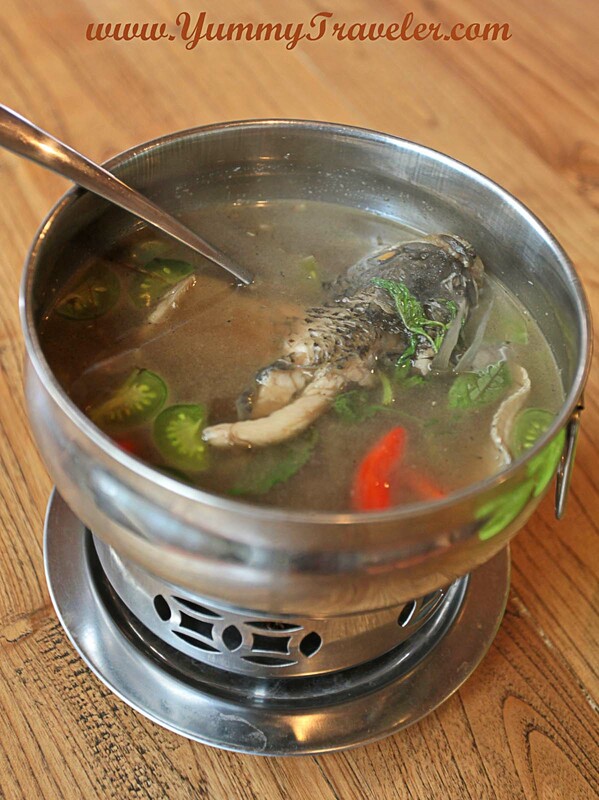 Sup Gurame ( Gourami Soup ) - IDR 40.000 ( include rice ). For the side dishes, they also served Plecing Kangkung - IDR 11.000 and Sayur Asem - IDR 4.000. Plecing Kangkung is a traditional food originally from Lombok. It's a boiled water spinach/ morning glory with the special sambal. I kind of like the sambal. Spicy ! 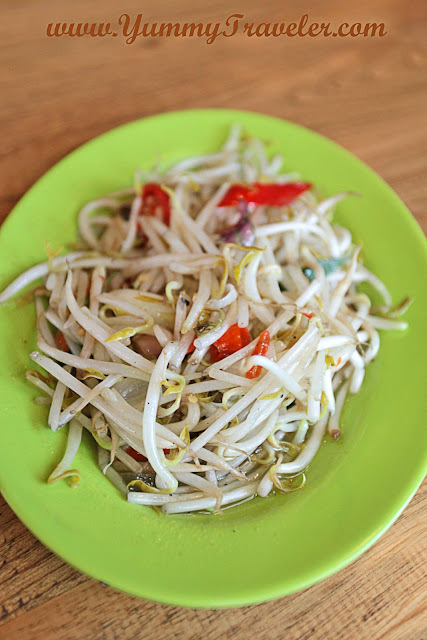 Tauge Cah Polos ( Stir Fried Beansprouts ) - IDR 11.000. Perfectly done! Not overcooked and seasoned well. They also served us their new menu which is Nasi Goreng Radja ( Fried Rice ) - IDR 27.000. The presentation was nice isn't it? 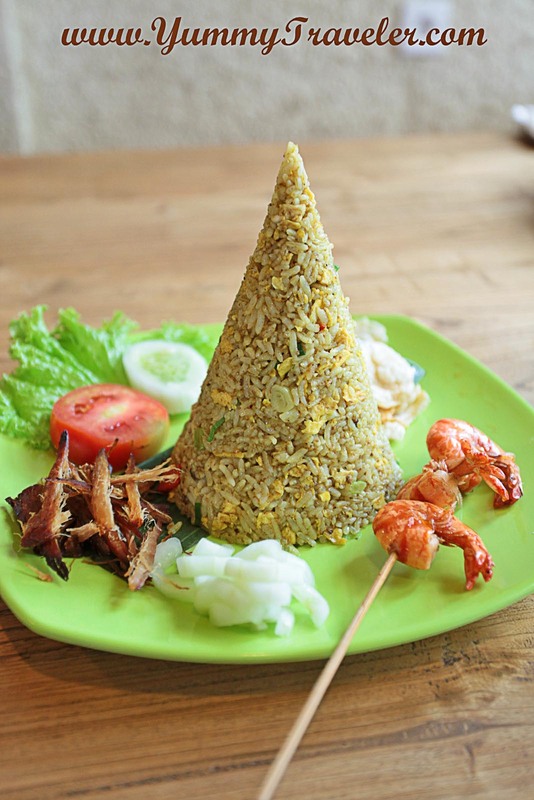 Not like the usual Indonesian fried rice that using sweet soy sauce, this one have turmeric taste in it. Yum ! 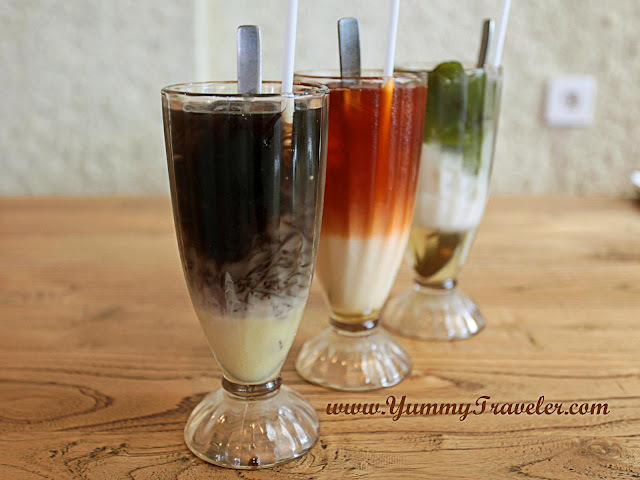 And for the drinks, Es Cincau Susu - IDR 11.000, Thai Ice Tea - IDR 12.000, Es Cingcau Hijau - IDR 11.000.